The DC Comics Combination Booster Car Seat by KidsEmbrace not only provides a safe seat to travel with in the car, but provides your little one with a friend. 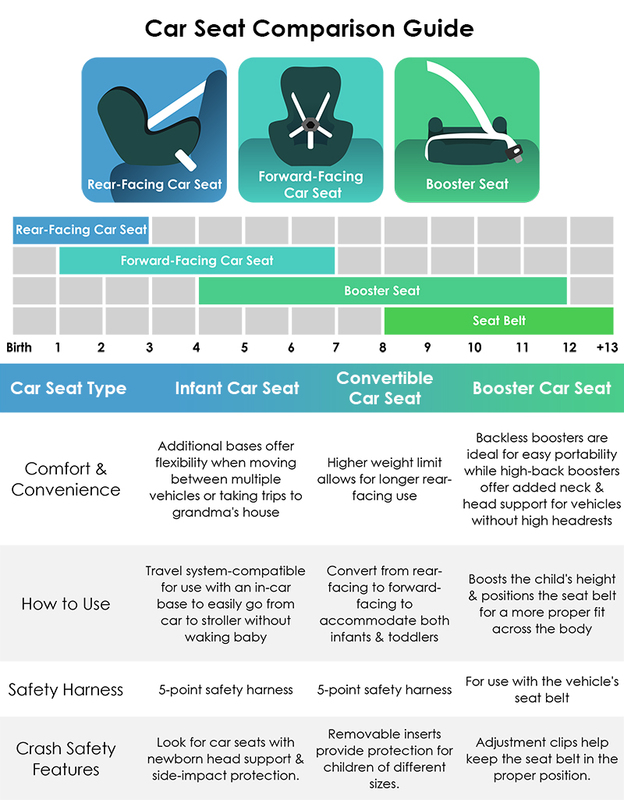 Compare car seat types here. 5-Point Harness system: 22-65 lbs. and 29-49 in. Belt-positioning stage: 30-100 lbs. and 38-57 in.